or click on "View larger map" for a bigger image. and click on "Sat or Satellite" to get a photographic image. 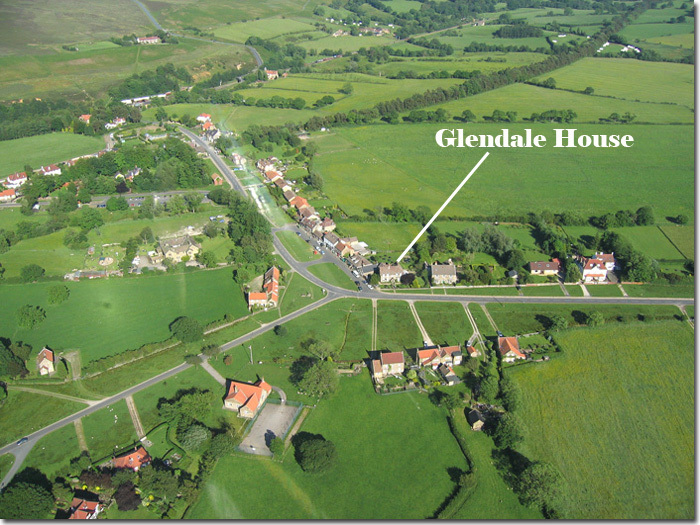 For step by step directions to Goathland, see instructions further down this page, below the aerial photo. 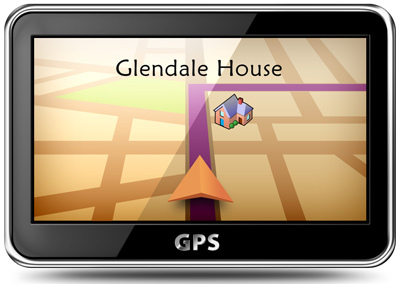 To return to Glendale House web site ..... click "back" on your browser. From the South, take the A64 past York towards Scarborough & Hull. Turn off at Malton on the A169 towards Pickering and Whitby. Through Pickering, and onto the moors. 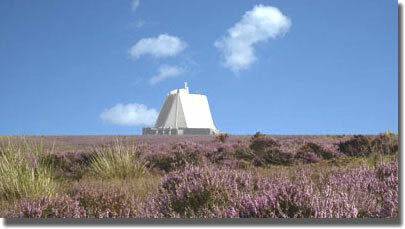 After passing the RAF Fylingdales "pyramid", take the first left into Goathland. From the North, take the A171 from Guisborough to Whitby. Just before Whitby turn right on the A169 to Pickering, through Sleights and up Blue Bank onto the moors. The Goathland turning is the second on the right (signposted). Where we are in Goathland. The map below shows our location ....... right in the centre of the village. Internet Explorer users: Hover cursor over buildings for description.